UP close inprogress, shop photo, shows the multitude of detailing. 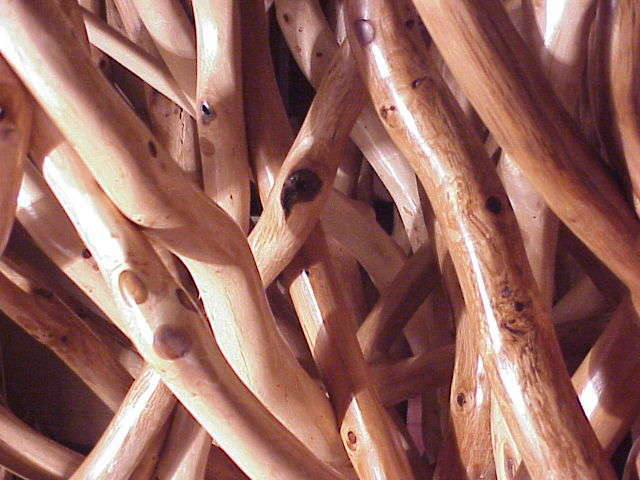 Large Tangled Root Table Base. Pictured above is a base for a 10 foot long oval glass top. 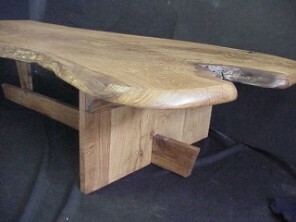 You may custom order your tangeld table base to accommodate the glass top of your choosing, both in size and shape. Call ( 785 658 3449 ) or email Mike - ( rustic@wtciweb.com ). Please refer to: " Large Tangled Table Base". In continental USA, $500 to $600 . 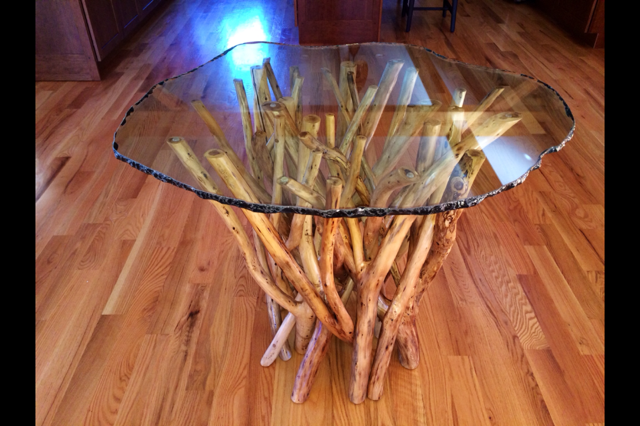 This tangled table base was created for a 10 foot long oval glass top. Scroll down to view more details.